Artwork prices are based on an estimated per hour rate. Payment of 50% for approved quotation is required before any design work will be done. No printable or full resolution artwork will be released until full payment for quoted amount, including any additional charges, is received. If printing work (business cards, fliers, digital printing) is done with GFX Design, NO artwork will be charged for unless in the event of a new Logo Design requiring design time in excess of 1 hour. All artwork pertaining to 1.4, not charged for in print work, will remain the property of GFX Design, according to The Copyright Act No. 98 of 1978, until paid for in full by the client or any third party. 2.1. We accept no responsibility due to theft, fire, loss or damage to goods, whatsoever, while the vehicles are within our care or on our premises. 2.2. Should you request the removal of any decals, we do not accept responsibility for any damage to paint work that might occur. 2.3. If a vehicle has been resprayed, we do not accept responsibility if; lifting or failing of the material occurs during or after the material has been installed, unsatisfactory finish to the applicated material. 2.4. Customers leave their vehicles here at their own risk. 2.5. GFX Design and all of its members concerned will not be held responsible should anything occur to the vehicle whether parked on our premesis during the day or overnight. GFX Design is insured in the unfortunate situation that damages, if any, occur at the fault of GFX Design or it’s employees. 3.1. Proof Prints are a visual representation of the final print. Once approval is given we accept no responsibility for the quality and presentation of the final output. Reprints will be charged for. 3.2. The client is required to advise GFX staff of any errors or unsatisfactory prints before departing with any products or print work. 3.3. All print work and products supplied by GFX are non-refundable and non-returnable. 4.1. All materials supplied to GFX Design by the client are accepted on a “AS IS” basis. GFX Design will not be held responsible for any damage or unforeseen circumstances that occur to the materials whilst in our possession. 4.2. Defective and poor quality items and/or branding – including embroidery, heat transfer, digital print, sublimation – will be reprinted/replaced if GFX Design deems the supplied garmets to be of an unsatisfactory condition – including sticthing, zips, buttons, loose embroidery, etc. 4.3. GFX Design will not be held responsible if unsatisfactory print quality results occur when client supplies materials. 4.4. GFX Design’s liability is reserved to the repair/replacement/reprint of unsatisfactory work produced by GF Design and/or its affiliates. 50% Deposit must be paid for all jobs, balance to be paid on completion. No garmets and/or printables will be released until full payment is received. Although GFX Design has attempted to provide accurate information on its web site, GFX Design assumes no responsibility for the accuracy of the information. GFX Design may change the services or products mentioned at any time without notice. Mention of non- GFX Design products or services is for informational purposes only and constitutes neither an endorsement nor a recommendation. 5. any errors in the software obtained from the site will be corrected. 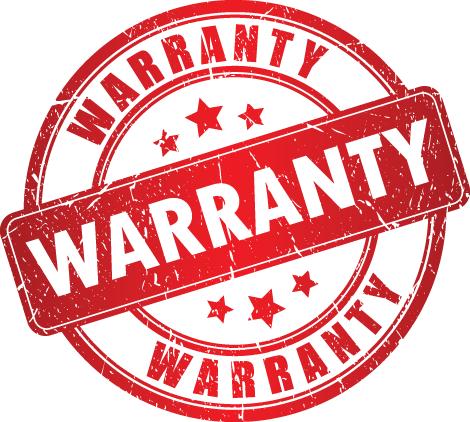 Some states or jurisdictions do not allow the exclusion of implied warranties or limitations on how long an implied warranty may last, so the above limitations may not apply to you. To the extent permissible, any implied warranties are limited to ninety (90) days. This site could include technical or other mistakes, inaccuracies or typographical errors. GFX Design may make changes to the materials and services at this site, including the prices and descriptions of any products listed herein, at any time without notice. The materials or services at this site may be out of date, and GFX Design makes no commitment to update such materials or services. GFX Design assumes no responsibility for errors or omissions in the information, documents, software, materials and/or services which are referenced by or linked to this site. References to other corporations, their services and products, are provided “as is” without warranty of any kind, either express or implied. In no event shall GFX Design or its suppliers be liable to you or any third party for any special, incidental, indirect or consequential damages of any kind, or any damages whatsoever, including, without limitation, those resulting from loss of use, data or profits, whether or not GFX Design has been advised of the possibility of such damages, and on any theory of liability, arising out of or in connection with the use of this site or of any web site referenced or linked to from this site. Some jurisdictions prohibit the exclusion or limitation of liability for consequential or incidental damages, so the above limitations may not apply to you. This site may contain links to third-party web sites that are not under the control of GFX Design. GFX Design makes no representations whatsoever about any other web site to which you may have access through this site. When you access a non- GFX Design web site, you do so at your own risk and GFX Design is not responsible for the accuracy or reliability of any information, data, opinions, advice, or statements made on these sites or for the quality of any products or services available on such sites. GFX Design provides these links merely as a convenience and the inclusion of such links does not imply that GFX Design endorses or accepts any responsibility for the content or uses of such web sites. This site can be accessed from other countries around the world and may contain references to PrintBestBuy products, services, and programs that have not been announced in your country. These references do not imply that GFX Design intends to announce such products, services or programs in your country. The materials and services on this site are protected by copyright and/or other intellectual property laws and any unauthorized use of the materials or services at this site may violate such laws. Except as expressly provided herein, GFX Design and its suppliers do not grant any express or implied right to you under any patents, copyrights, trademarks, or trade secret information with respect to the materials and services. Except as specifically permitted herein, no portion of the information or documents on this site may be reproduced in any form or by any means without the prior written permission of GFX Design. You agree to indemnify and hold GFX Design, and its subsidiaries, affiliates, officers, agents, co-branders or other partners, and employees, harmless from any claim or demand, including reasonable attorneys’ fees, made by any third party due to or arising out of content you submit, post to or transmit through this site, your use of this site, your connection to this site, your violation of the rules, or your violation of any rights of another person or entity. You agree to indemnify, defend and hold harmless GFX Design, its officers, directors, employees, agents, licensors, suppliers and any third party information providers to this site from and against all losses, expenses, damages and costs, including reasonable attorneys’ fees, resulting from any violation of these rules (including negligent or wrongful conduct) by you or any other person accessing this site. The trademarks, logos and service marks (“marks”) displayed on this site are the property of GFX Design or other third parties. You are not permitted to use the marks without the prior written consent of GFX Design or such third party which may own the marks. GFX Design and the GFX Design logo are trademarks of GFX Design. 1. Any incidental, consequential, or indirect damages (including, but not limited to, damages for loss of profits, business interruption, loss of programs or information, and the like) arising out of the use of or inability to use the service, or any information, or transactions provided on the service, or downloaded from the service, or any delay of such information or service, even if GFX Design or its authorized representatives have been advised of the possibility of such damages. 2. Any claim attributable to errors, omissions, or other inaccuracies in the service and/or materials or information downloaded and/or obtained through the services of GFX Design.